This is an oval to pyramidal shaped bush. 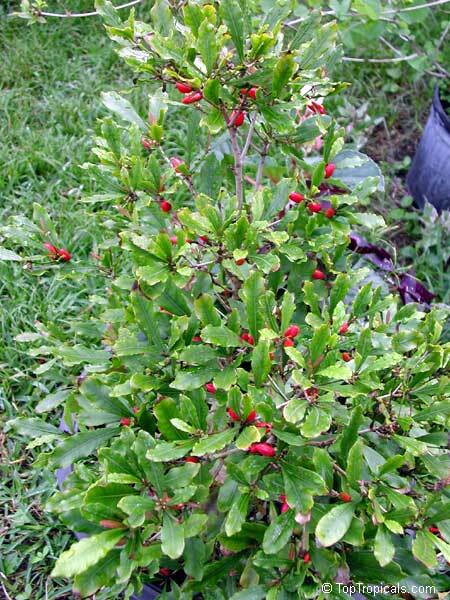 Simple, alternate 3-5 leaves clustered at branch tips. 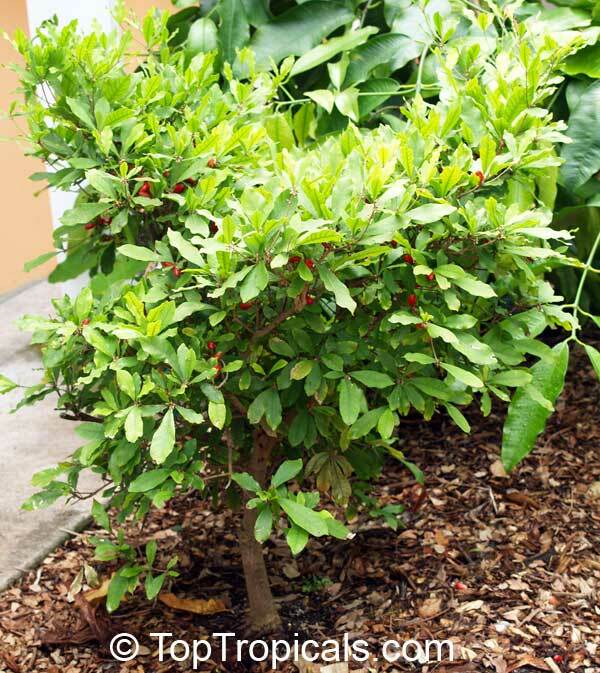 At maturity it will reach seven feet. 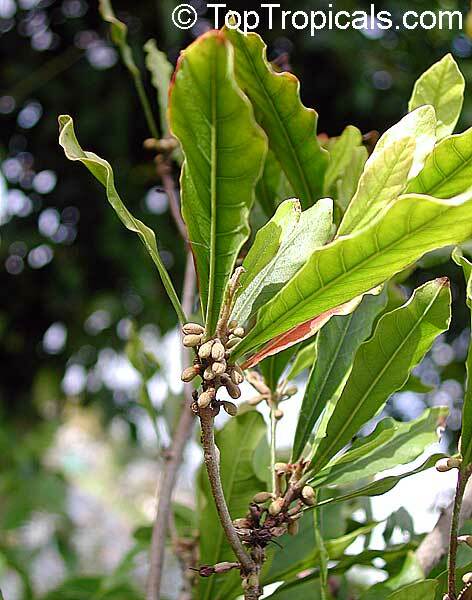 Inconspicuous, brown 1/2 in flowers. 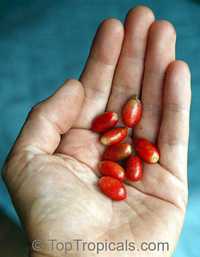 Red, 1 in football-shaped fruit, sweet, pleasant tasting. 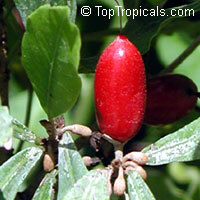 It fruits when only 1 ft tall. 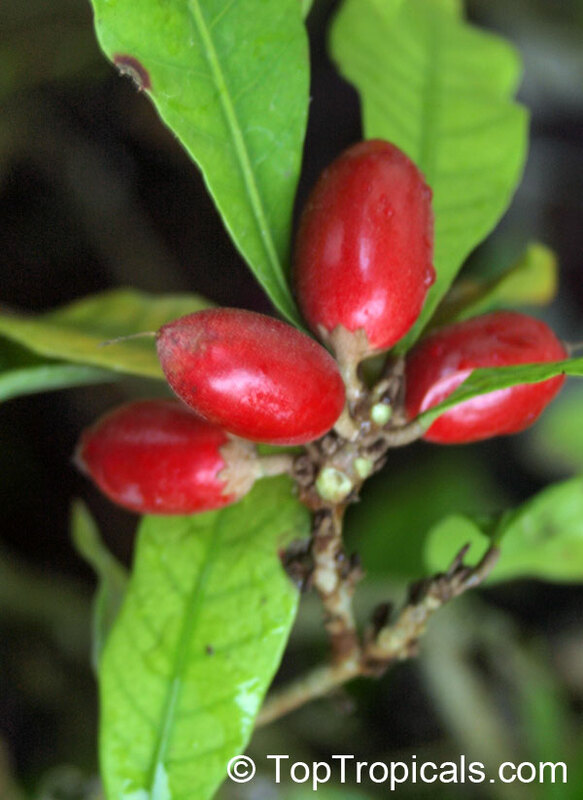 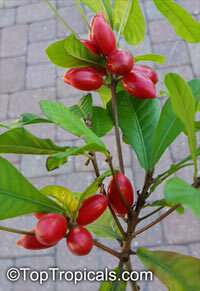 Miracle fruit produces small red fruits several times each year. 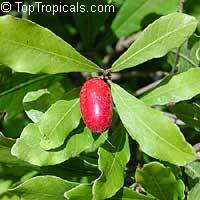 The "miracle" is that if lemon or other sour fruit is eaten after the miracle fruit, the sour fruit tastes sweet. 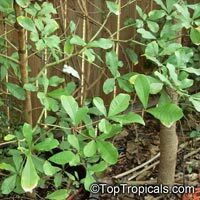 A natural chemical in the fruit masks the tongue’s sour taste buds so that lemons taste like lemonade or lemon pie, or lemon candy. The fruit has a unique glyco protein that inhibits tastebuds' perception of sour taste for half an hour to a couple of hours. Enhances flavor of grapefruit, strawberries, and makes beer taste like a malta soft drink. 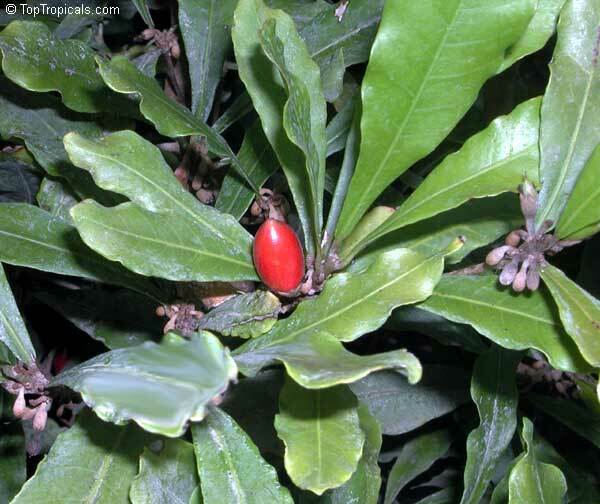 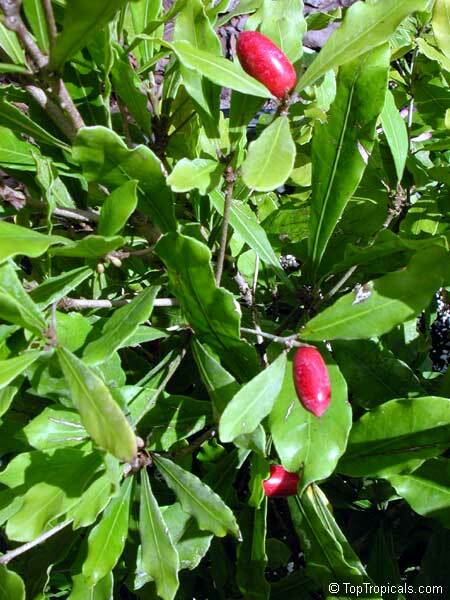 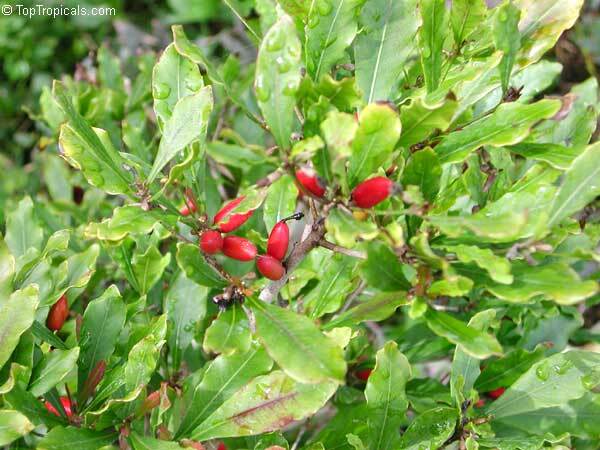 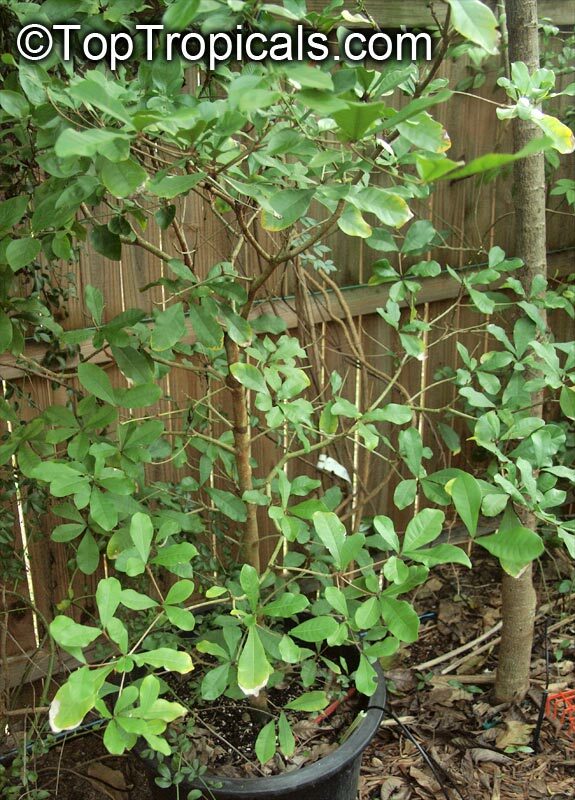 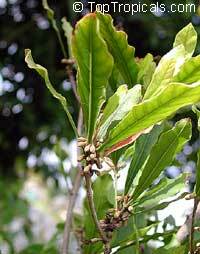 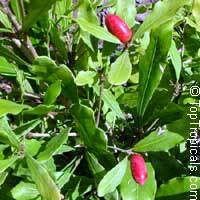 Has been used as an appetite stimulant for persons taking chemotherapy medicines. 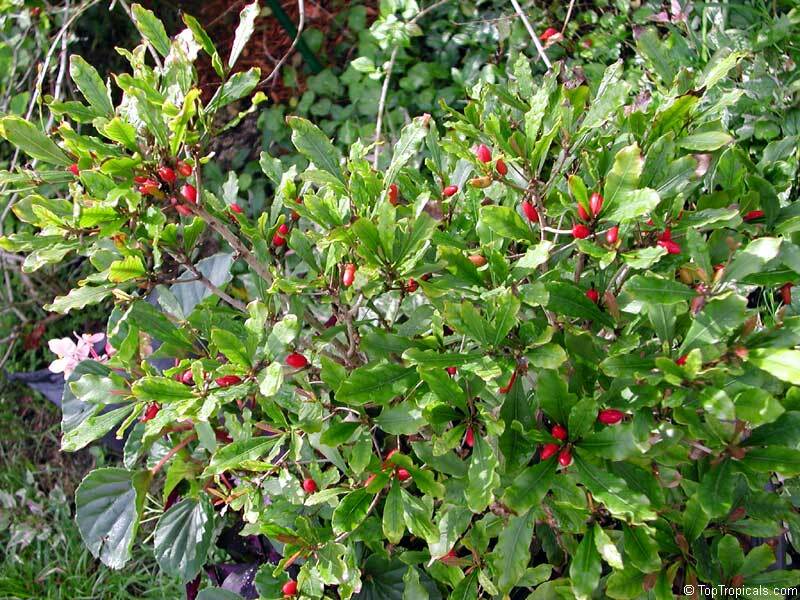 Freezes whole for preservation. 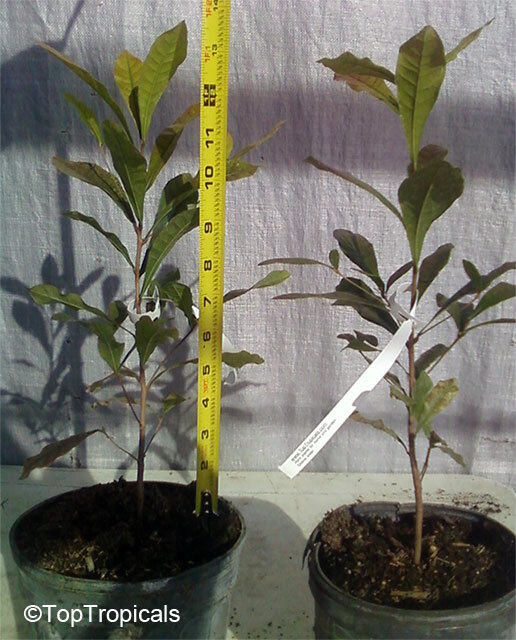 Prefers acid soil such as Canadian Peat Moss, minor nutrients. 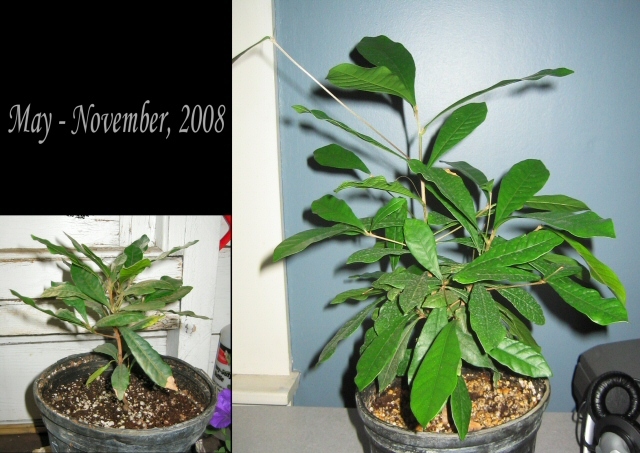 Seed to fruit in 2 to 5 years. 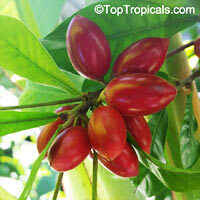 Flower to fruit in 30 to 45 days The sweet sensation lasts from 20 minutes to 4 hours. 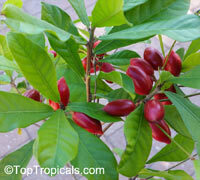 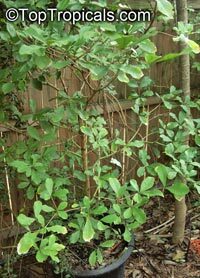 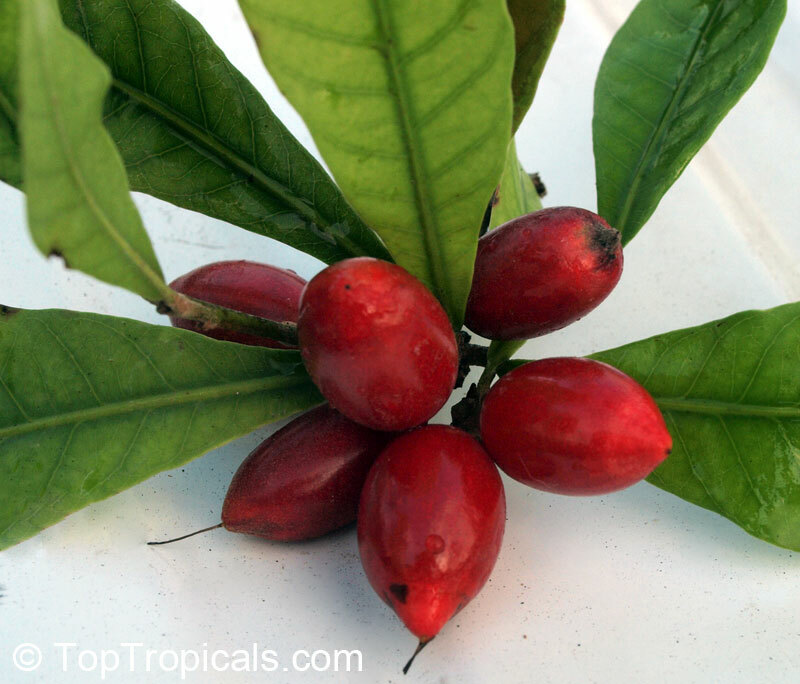 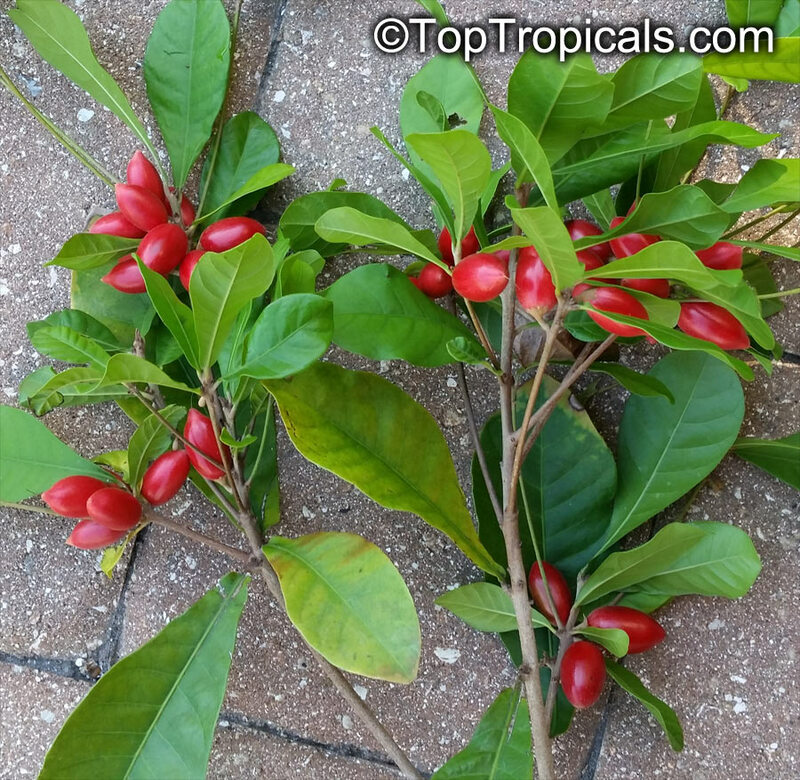 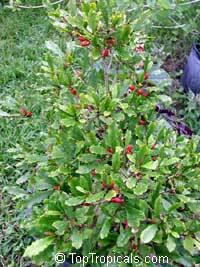 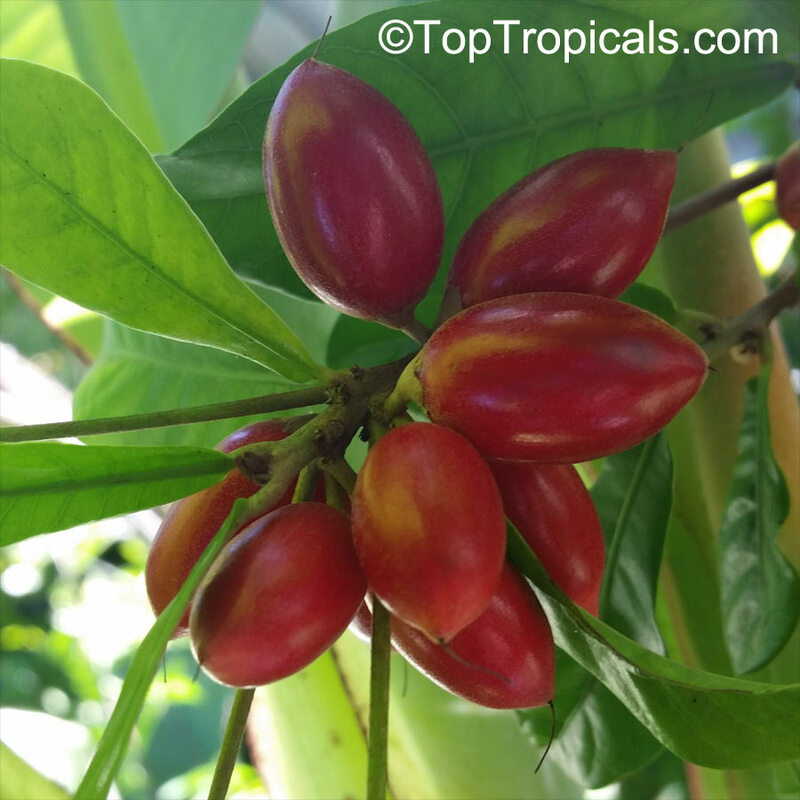 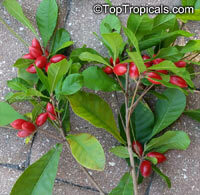 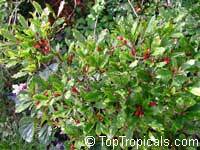 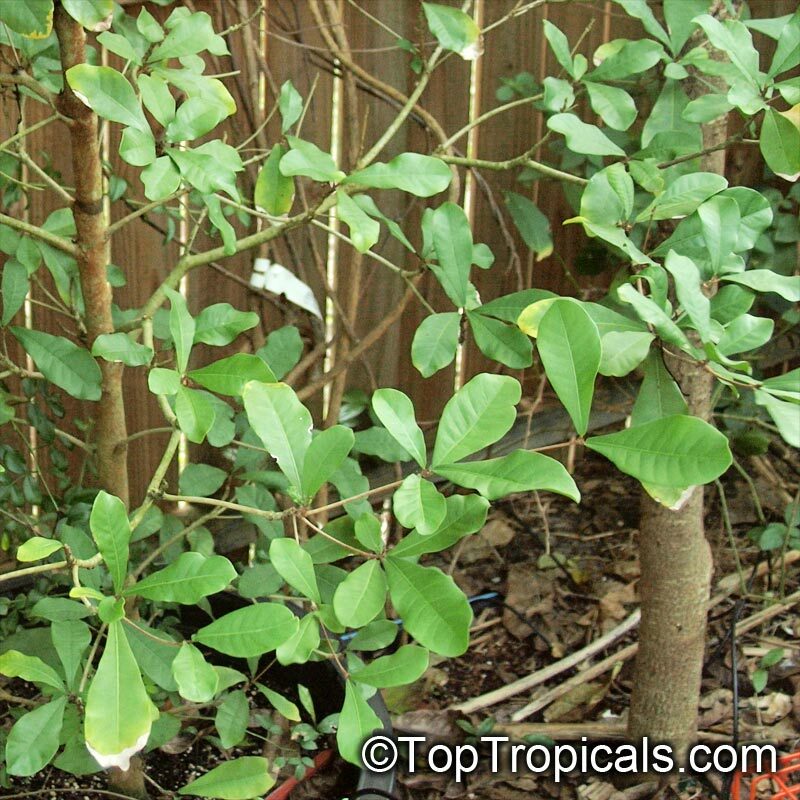 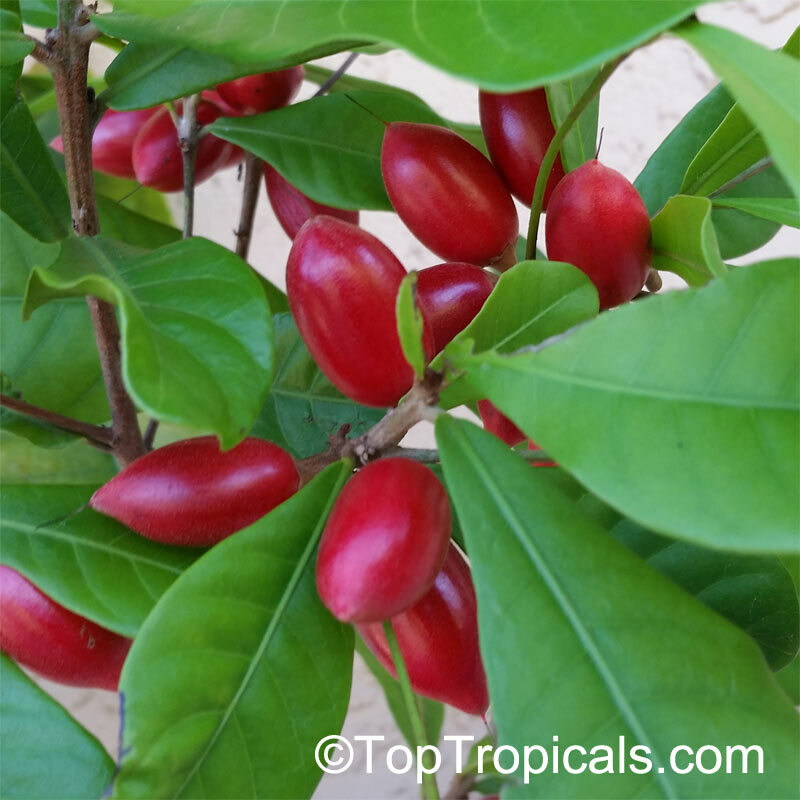 Miracle fruit must have acid soil, is frost sensitive, and requires partial shade. 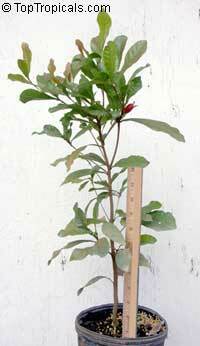 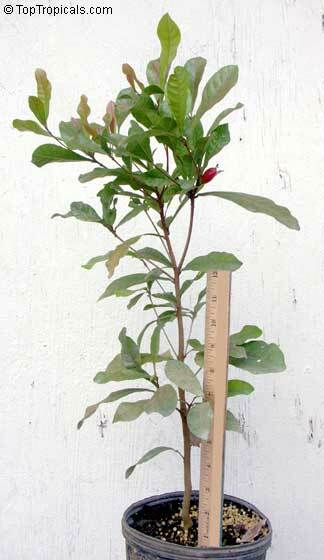 It is an excellent choice for a containerized tree, which gives it the added benefit of mobility. 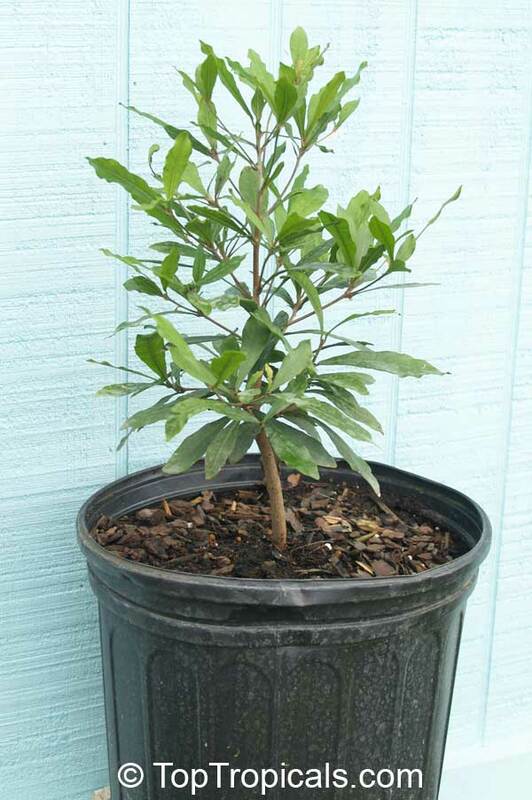 Fill a container with a 50:50 mix of peat moss and perlite; this combination will create an acidic environment with good drainage. 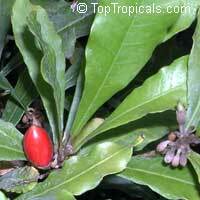 See related species - Synsepalum subcordatum. 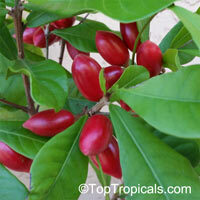 See Article about Miracle Fruit. 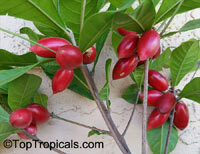 It is one of the strangest tropical fruits. 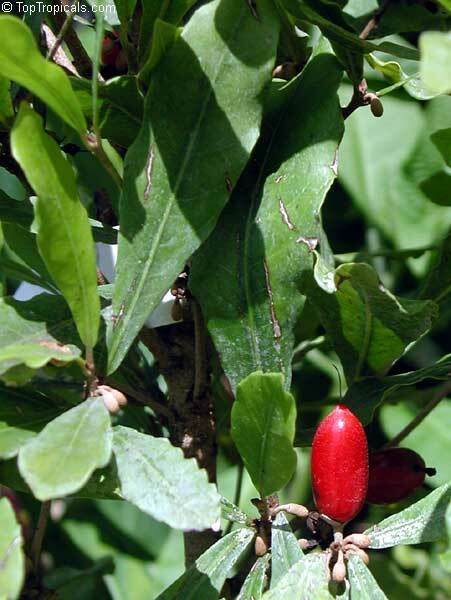 The 'miracle' is that if lemon or other sour food is eaten after the miracle fruit, the sour tastes sweet, as if sugar has been added. 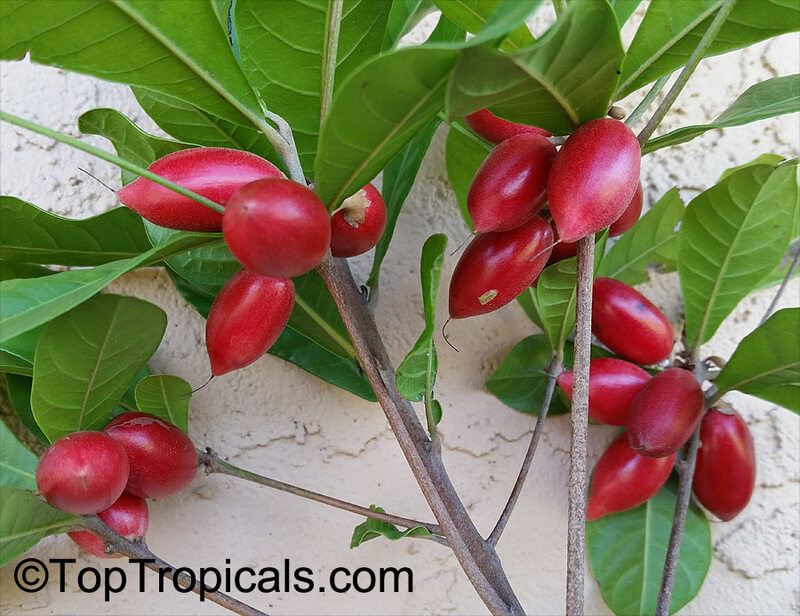 A natural chemical in the fruit masks the tongues sour taste buds so that lemons taste like lemonade or lemon pie, or lemon candy. 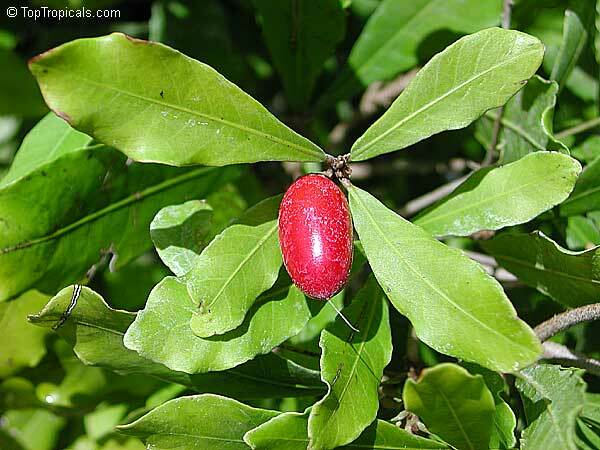 The sweet sensation lasts for half an hour to a few hours.